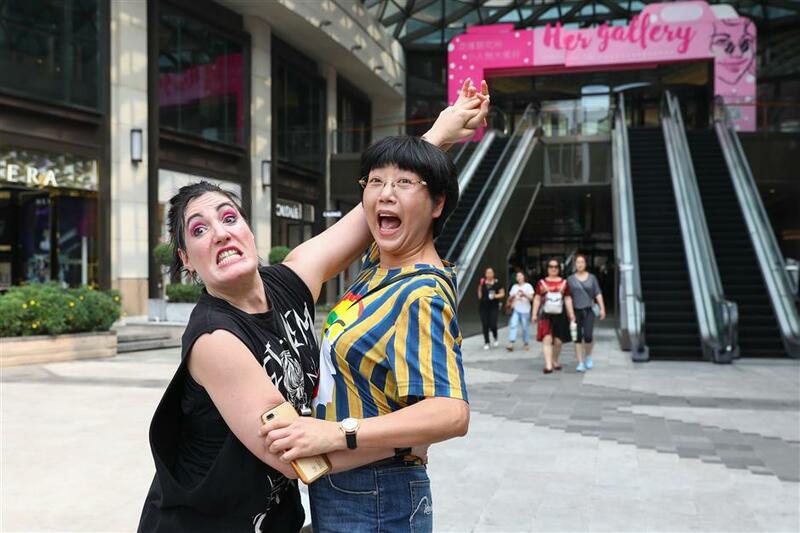 Jing'an embraces cultural ambience this month. 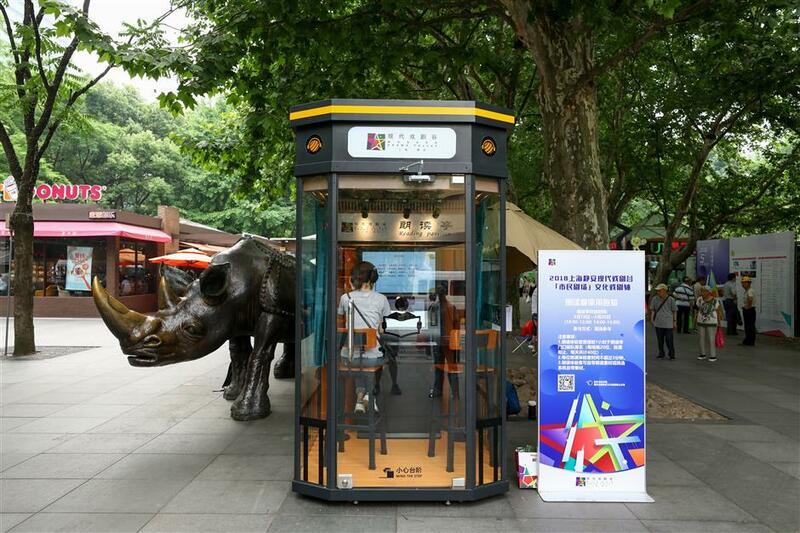 A mobile reading pavilion in front of Jing’an Park provides bookworms and script lovers a platform to read and record favorite literary passages during this year’s Modern Drama Valley. 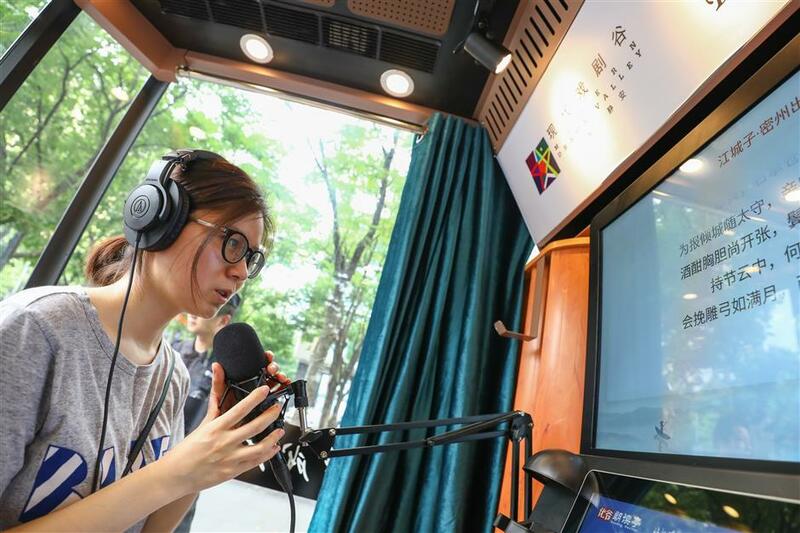 In a mobile reading pavilion the size of a telephone booth near Jing’an Park, Chen Fangfang, 41, recently read out several literary works of her favorite poet Yu Kwang-chung. Chen said she was pleased with the outing. The pavilion gave her and like-minded others a venue for their passion for the spoken word. By scanning a QR code, Chen downloaded the audio clip she recorded. She said it made her feel like a professional reader and she would share it with her friends. The reading pavilion, opened two hours a day from May 18-20, was part of the district’s efforts to draw people closer to literature and theater during this year’s Modern Drama Valley. 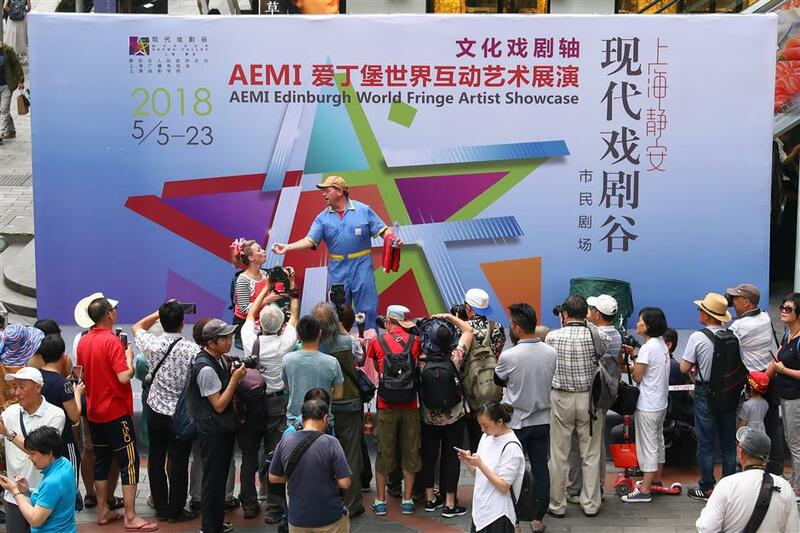 A wide range of street theater includes magic shows and interactive dramas staged by artists from North America, Europe and other regions in the commercial zone along Nanjing Road W.
In addition to reading, the festival offered a wide range of street theater performances staged by artists from North America, Europe and other countries in the commercial zone along bustling Nanjing Road W., from May 18 to 23. 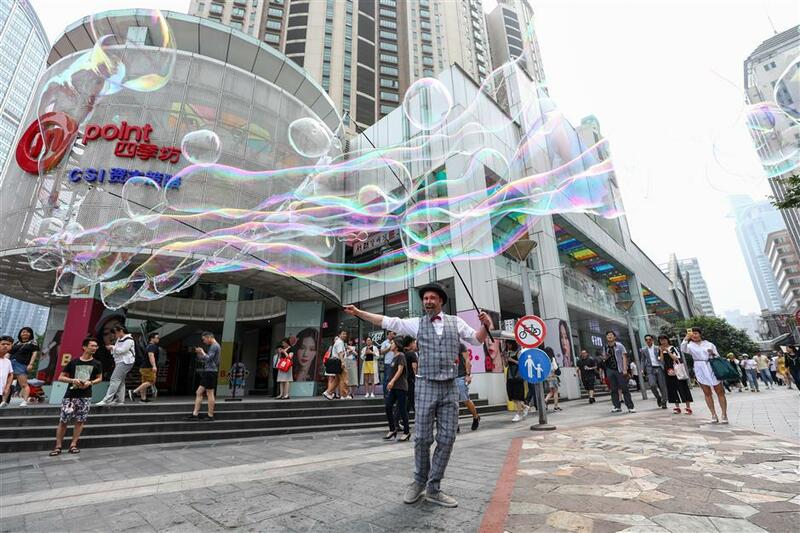 They included magic shows, improvised mini-dramas, freestyle dancing and bubble shows. Also, giant puppets were brought to life on the street. 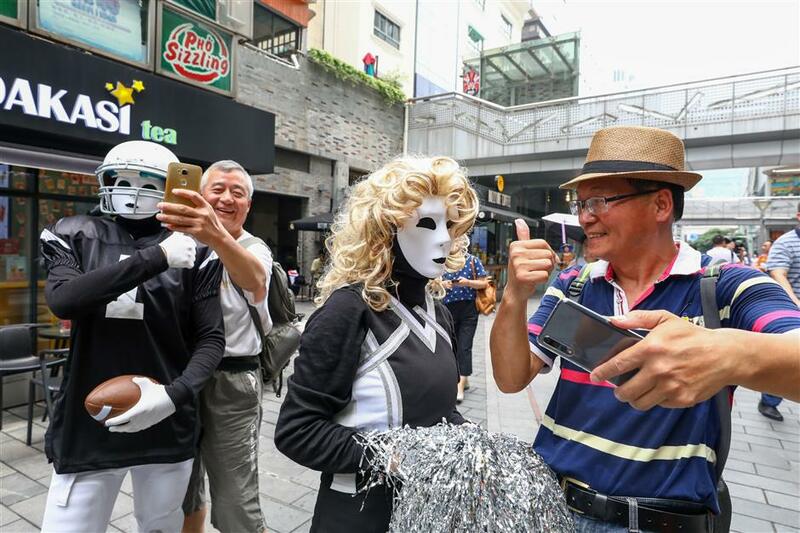 Both local residents and foreign visitors stopped to watch, expressing amazement at the street performances.